Toronto is in the midst of a condo boom and as a result, some of its top galleries are being forced to relocate. Hopefully, they will continue to thrive in their new digs. Two weeks ago, I attended the final exhibition of the Museum of Canadian Contemporary Art (MOCCA) in a building set to be torn down, and replaced with a condo. 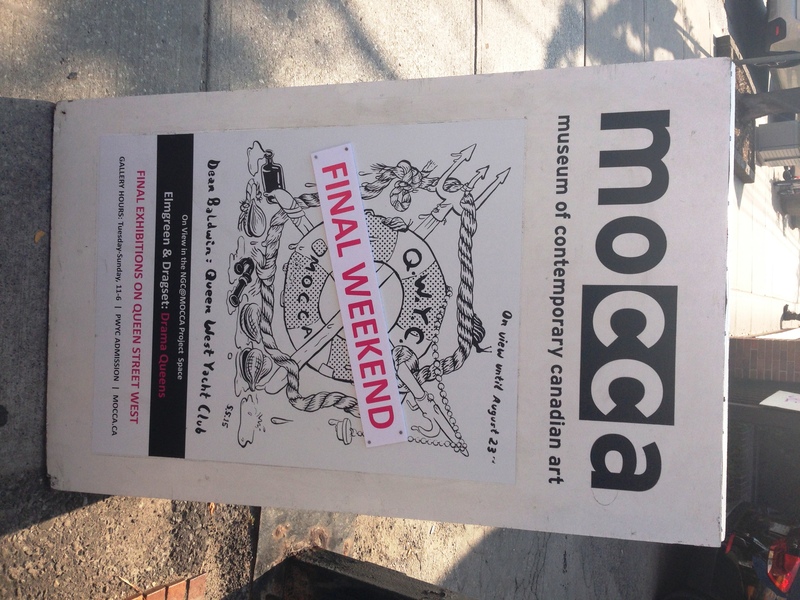 While MOCCA will live on in another location, the area it left behind will never be the same. To make matters worse, the Clint Roenisch and Edward Day Galleries have been displaced as well. While the building itself is nothing special, it did serve as an anchor for contemporary art in Toronto, and the shows that took place behind its walls were often special. The same cannot be said for the condo set to take over. It will contribute nothing to the arts community. As it is in many cities, gentrification is leading to a mass exodus from neighborhoods previously friendly to artists/galleries, and as a result, the arts scene in Toronto is becoming increasingly fragmented. If it keeps up, you will no longer be able to go for a walk and see a lot of art. Instead, you’ll have to cross the city, bouncing from one solitary space to another. This is not good. To the residents of the soon to be built condo: Buy. Local. Art.